Welcome to our Animal Farm! Our animal farm has also been featured on NBC 4, Fox 5, TV55, News 12, The Today Show, The Daily News and The New York Times. Come see why everyone is talking about The White Post Animal Farm! A trip to the White Post Animal Farm is your ticket to a full day of fun for the whole family. 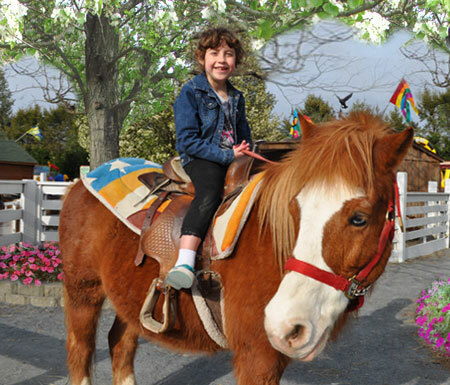 Meet and feed our animals, watch our fun animatronics shows, play in our giant sandbox and playground areas, experience Ronnie's Birdie Landing TM the largest free flight aviary on Long Island and more! "Hand Feed & Bottle Feed Animals"
The White Post Animal Farm and Petting Zoo is the perfect place to get up close and personal with your favorite farm animal friends. While at our famous Best of Long Island Petting Zoo your family will have the chance to hand feed and bottle feed our many animals. Animal food is available in vending machines, by the single cone as well as in souvenir sand pails which includes six cones with food and a reusable sand pail with shovel. If you want to bottle feed our animals we have milk bottles available for purchase. Animal food is available at the main entrance as well as inside the farm near the Pony Ride Station. Feed sticks will be available for purchase at the entry of this attraction at the cost of $3 per stick or 2 for $5. at the cost of $3 per stick or 2 for $5. Ever wonder what really happens in the Hen House when the farmer isn't watching? Come watch as our favorite feathered friends belt out some popular tunes and teach you interesting educational facts at the same time. Don't miss our very own musical group with the 13 member Animal Band Jamboree. A visually stunning and musical masterpiece you don't want to miss. Milk Bottles: $2.30+NYS Tax ea.